I’m guessing there’s a Mr. Paws and an Hermione in there somewhere. The next pages should show a bunch of feral cats lounging around a skeletonized human corpse in the kitchen. Well, now we finally know what the Owner of this van does; she illustrates coloring books for a living. What’s really fucked up is that one of the cats have been scraped off (look right next to the last one). Maybe they’re all just the lives of her one cat…? All of them are named Pete. 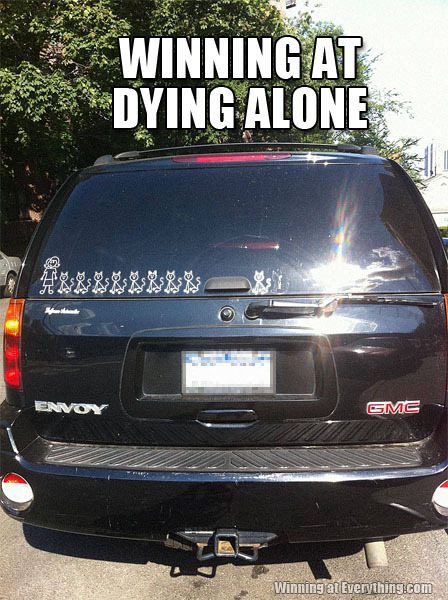 Funny thing is, my sister has about 11 cats. (She has a 20 acre horse ranch, so they’re all neutered barn cats.) There are two who were dumped there as identical kittens. She never has been able to tell them apart, so they’re both named Pete. Barn Cats is a good band name. 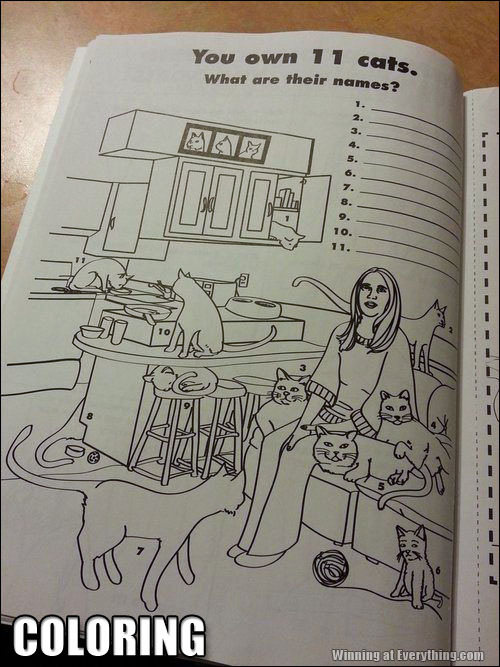 Please tell me the name of this coloring book and where I can purchase it.